OK, too cute, it’s true. 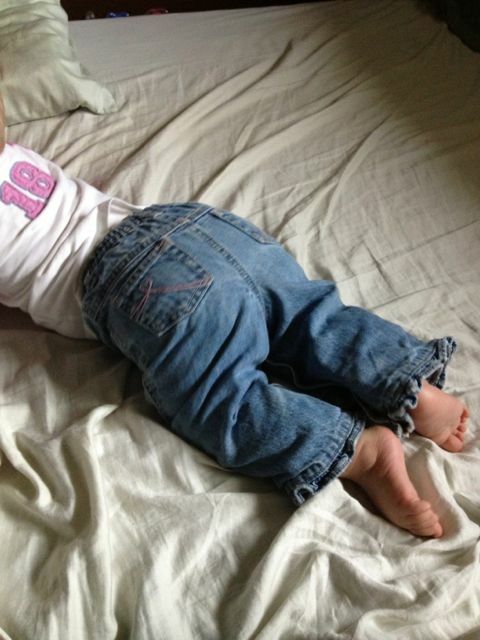 i think she has great genes enough without having to wear denim, though! ack! I just found these updates under my “promotions” tab. have moved you to “primary” and hope it sticks. 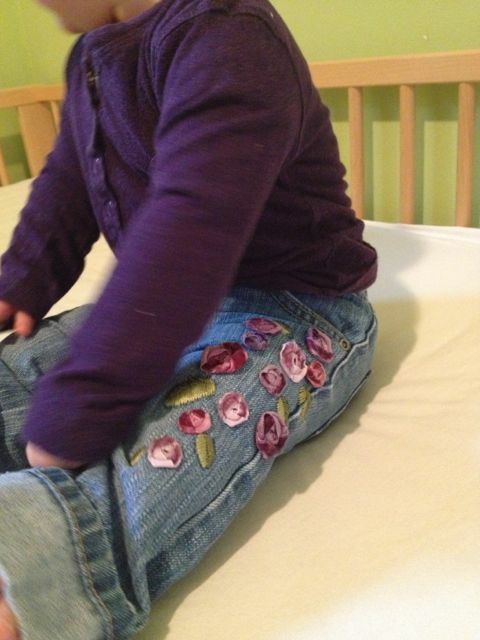 I want those jeans!!! the ones with the applique flowers. 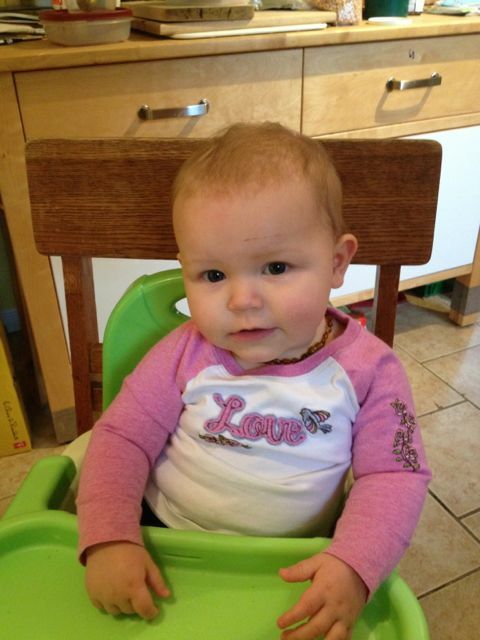 i know they wouldn’t be as cute on me, but i am not wearing diapers these days so, totally! 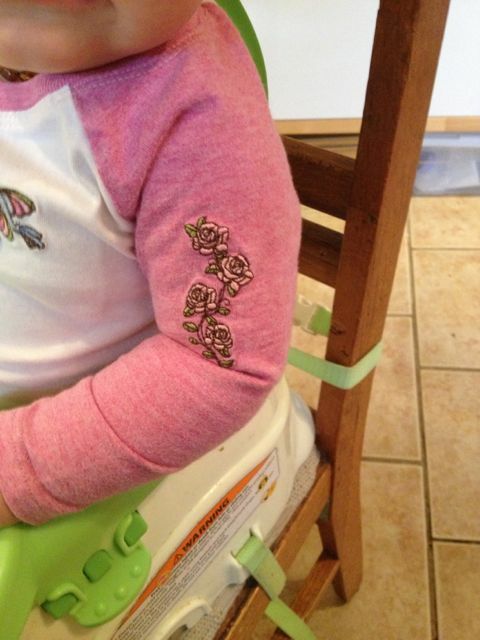 i love the rocker-rose-tattoo. also, is that a cut on her forehead in the loungy pic? 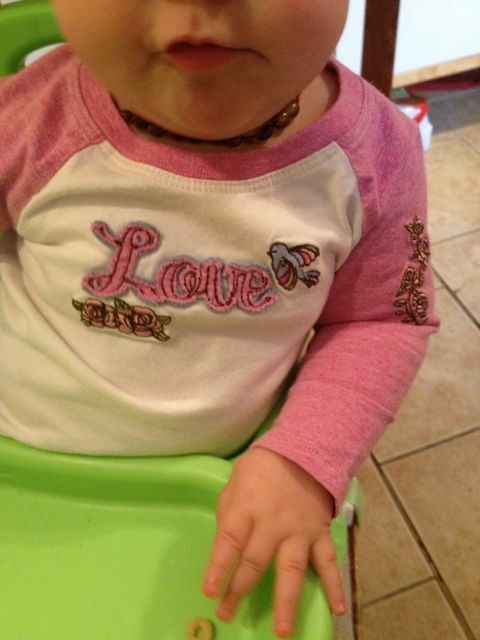 is she getting into scraps with other baby bikers?? LOL! That IS a scratch, good eye. Though the only scraps she gets into are with herself and her freakily fast-growing nails. Ok, so very cute! My favourite thing to put on Hunter is his jeans (hmmm… maybe I’m lying. Maybe my favourite thing is his Hawaiian themed little onesie, especially when Daddy styles him a faux-hawk), but they aren’t real jeans, they are sweatpants that look like jeans! Best. Invention. Ever. But I still wouldn’t be caught dead in pyjama jeans. OMG. 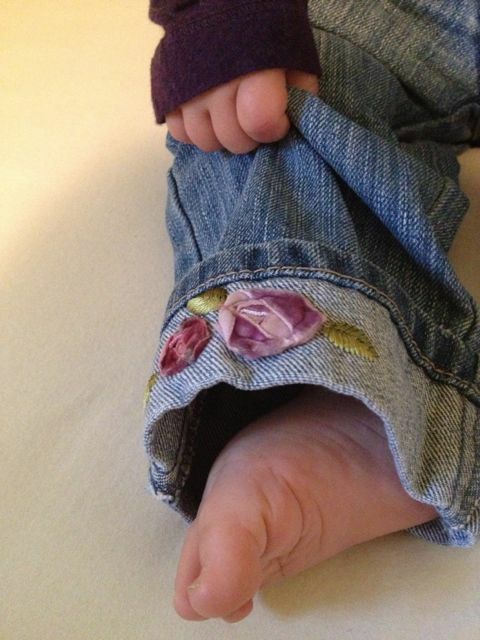 If Baby AB had sweatpants that look like jeans, that would be IDEAL. 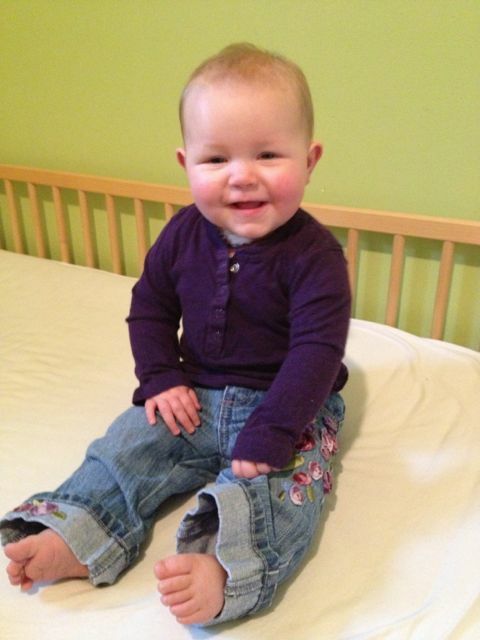 Because my baby got *back* and putting actual jeans on her, even the stretchy ones, is a big ol’ hassle. And they’re kind of constricting once they’re on. See, even in babyhood, the boys get to be more comfortable. Is there a photo of this Hawaiian faux-hawk look?? Please say yes.